Carl Franklin and Richard Campbell, hosts of the .NET Rocks talk show, decided to take their show on the road. 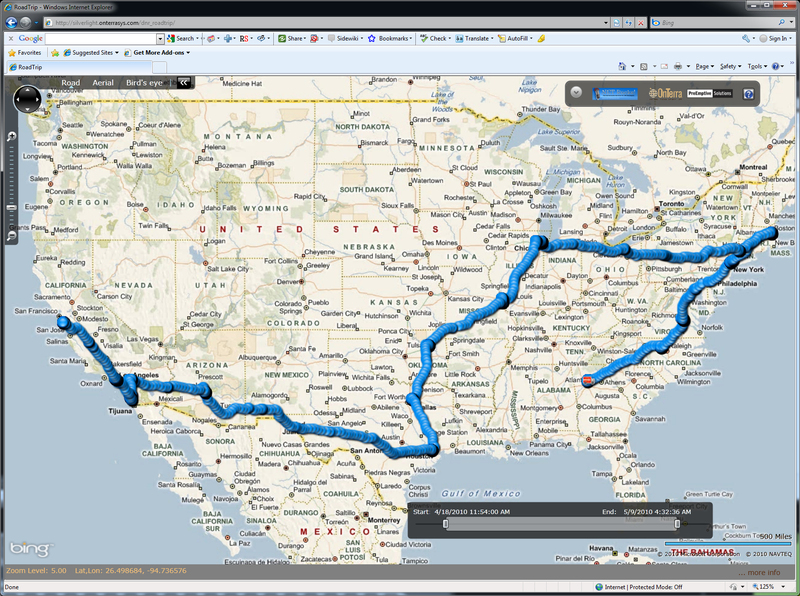 They rented an RV, nerded it up with some serious GPS tracking hardware (see their complete trip), and drove it across the US, visiting a bunch of cities, recording live shows, and demonstrating some cool Visual Studio 2010 tech. On May 5, the DotNetMobile rolled into Richmond, VA (thanks to Kevin Hazzard and the Richmond .NET User Group for getting this venue on the map!). I hitched a ride with Rusty Romaine and drove down from Maryland to see the show. Our guest host was Mark Miller, creator of CodeRush. He and his wife Karen Mangiacotti bantered back & forth onstage, covering everything from animated commas to an over-engineered Viking Ship school project (note to self: never bake vinegar-soaked wood in my oven). The recorded show can be heard here. After the show, I snagged a group shot with Carl and Richard, along with Mark and Karen, ride-along winner Ben Dewey, and newly-annointed ride-along winner and HRNUG founder Kevin Griffin. More photos are posted here. Enjoy!